Jaguar Land Rover dedicated workshop in Newcastle under Lyme, Staffordshire. 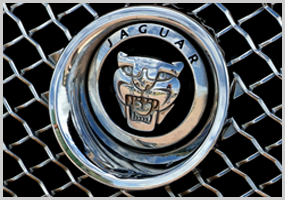 AWJ Automotive - Professional Servicing and Repairs to current and classic Jaguars. A dedication to the Jaguar marque with factory trained technicians, the team at AWJ Automotive have a wealth of experience of modern and classic Jaguars. Supported by the latest diagnostic and test equipment you can trust AWJ Automotive to service and maintain your Jaguar or other prestige car marques including Audi, Bentley, BMW, Land Rover, Mercedes and Rolls Royce. Just off the A34 at Newcastle under Lyme near Stoke on Trent, the modern fully equipped Jaguar dedicated workshop is conveniently just moments from J16 of the M6. Regular Servicing, Repairs or Classic Car Restoration call Andy White - AWJ Automotive on 01782 565620. FREE VEHICLE CHECK.. See what our customers say.. Used Parts Shop.. BUY PARTS ONLINE..